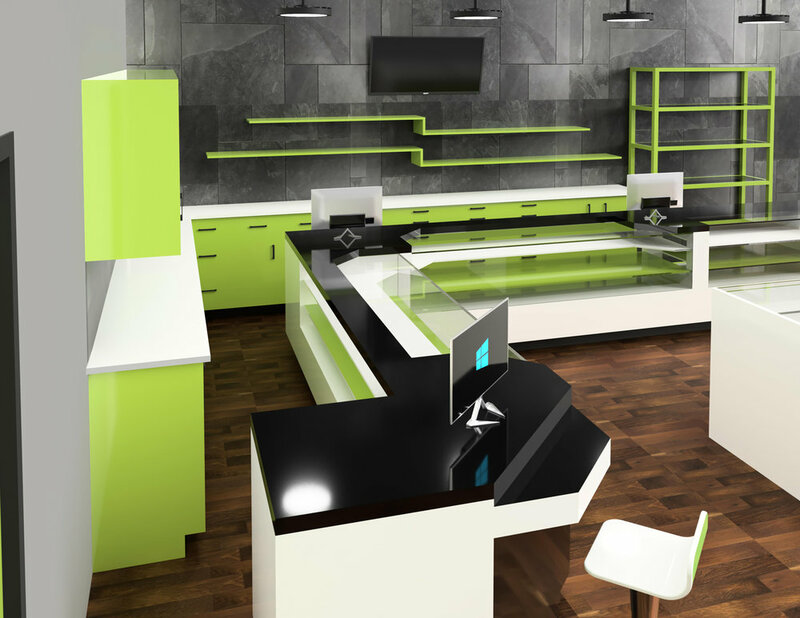 Genie Scientifc and our partners offer customizable, functional furniture and equipment for your new dispensary. Using cabinetry in powder-coated steel you can build the perfect equipment for showcasing and selling your cannabis product. We work with our partners to build each piece of equipment you need for your dispensary. Below is a slideshow example of the specific and custom work we offer. Call today to get started building your perfect dispensary space.